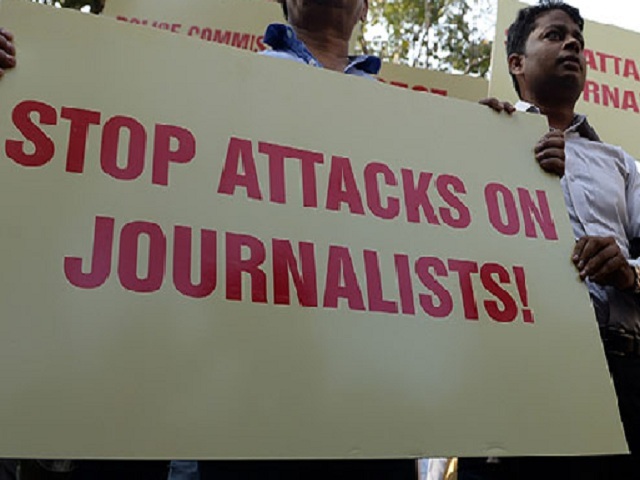 Paris, July 05 (KMS): India may slip further from its current 138th place in the World Press Freedom Index as four journalists were murdered in less than six months amid a sharp rise in hate speech, a global media watchdog warned in its first report on India. The Paris-based Reporters Without Borders (RSF) said it had come out with a report exclusively on India in view of the “increase in breaches of press freedom” in India in the past six months. In the 2018 Index, published in April this year, India was ranked at the 138th position out of 180 countries, two places lower than in 2017, and the situation has continued to deteriorate. “As a result, the Abuses and Environment indicators, which contribute to the country’s evaluation for the Index, show a negative trend and point to another decline in its ranking in the 2019 edition unless the authorities take steps to rectify the situation,” it said. On July 3, RSF Secretary General, Christophe Deloire, wrote to the Indian Prime Minister, Narendra Modi, telling him that the first Incident Report had been issued in relation to press freedom in India, the media watchdog said in a statement. “In the first six months of 2018, at least as many reporters were killed as for the whole of 2017, while hate speech directed toward journalists has increased massively, causing serious concern for their safety,” the letter noted. The recent killings of the journalists took place amid a sharp rise in hate speech, it added. On June 14, Shujaat Bukhari, editor of Rising Kashmir, was shot dead as he left his office in Srinagar. Sandeep Sharma, who had been investigating illegal sand mining, was crushed to death by a garbage truck in Madhya Pradesh on March 26. A day earlier, two other journalists, Navin Nischal and Vijay Singh, subeditors with the daily Dainik Bhaskar, were deliberately run over and killed by an SUV (sports utility vehicle) in Bihar, the statement said. This kind of intimidation, which affects journalists expressing even the mildest criticism of the current government, creates a harsh climate of self-censorship and even propaganda, it said. The RSF is an international non-profit, non-governmental organization that promotes and defends freedom of information and freedom of the press. Reporters in India often face harassment and intimidation by police, politicians, bureaucrats and criminal gangs. RSF also took the Indian government to task over online hate campaigns and harassment by “armies of trolls” associated with Hindu nationalists loyal to Prime Minister Narendra Modi. It cited the case of journalist Rana Ayyub being subjected to a hellish nightmare of online hate messages, sexist insults, faked pornographic videos and calls for her to be gang-raped and murdered. Ayyub’s recent book “Gujarat Files: Anatomy of a Cover Up” proves government complicity in anti-Muslim violence during the 2002 riots in the western state of Gujarat when Modi was its chief minister. Ayyub’s ordeal has also earned the Indian government criticism from the United Nations special rapporteurs.